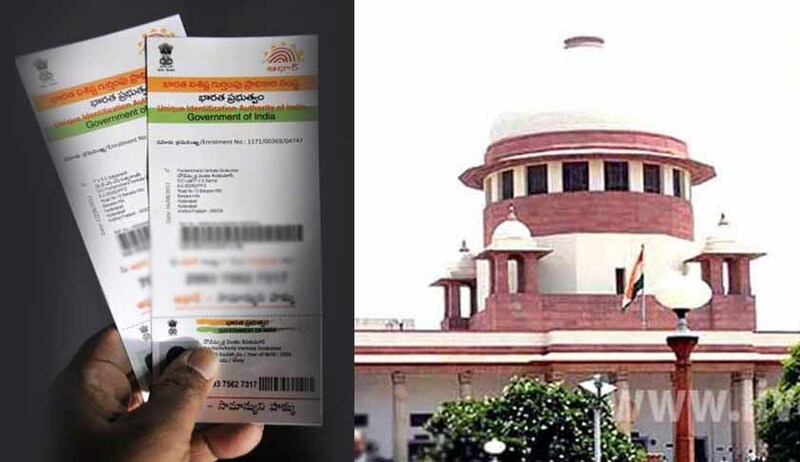 Supreme Court of India has started hearing on a batch of petitions challenging S.139AA of Income Tax Act which made mandatory linking of Aadhar with IT Returns. Appearing for one of the Petitioner Senior Advocate Aravind Datar has started his argument saying that Section 139AA of Income Tax Act is contrary to the orders of the Supreme Court. He also said S.139AA is violative of Article 14 and 19(1)(g) of the Constitution of India and it is an example of colourable exercise of power. Aravind Datar told the bench the Government has repeatedly assured the Court that it will not make Aadhaar mandatory. He also argued that the Government cannot indirectly making Aadhaar mandatory through Income Tax Act. The Attorney General Mukul Rohatgi replied that that those assurances were given by the Government before it passed the Aadhaar (Targeted Delivery of Financial and Other Subsidies, Benefits and Services) Act. Attorney General said there is no technology in the world that can prevent duplication other than biometric details. "Biometric is the only system which can stop duplication,"Attorney General told the court while defending the Section. - 99% population has already got the AADHAR number. People who don't have AADHAR number can enroll and give that enrolment number with their PAN no for IT return purpose. There is a huge number of fake PAN cards. Justice Sikri observed, if one system is being replaced by the other then what can be the objection. Justice AK Sikri repeatedly said that bench is not making any observation regarding Privacy issue of AADHAR which is pending before the constitution Bench. Datar has also argued that the rights which had passed into those embodied in a judgment and became the basis of a Mandamus could not be taken away in indirect fashion. Senior Advocate Shyam Divan has started his argument for another petitioner. The Bench was hearing the petitions including one filed by former Kerala minister and CPI leader Binoy Viswam challenging the constitutional validity of S. 139AA of the Income Tax Act, 1961, alleging it to be ‘illegal and arbitrary’ and ‘violative of Articles 14 and 21 of the Constitution. He submitted that he is a tax-paying citizen and does not hold an Aadhaar card till date nor has he applied for the same in view of the legitimate expectation that the said scheme was not mandatory in view of the orders of Supreme Court as well as Aadhaar Act.